Joao Felix stole the show with a hat-trick in the first leg of Benfica’s Europa League quarter-final against 10-man Eintracht Frankfurt. Ruben Dias was also on target as the Portuguese side claimed a dominant 4-2 victory in Lisbon. The German outfit are strong on home soil, though, meaning the hosts to win at 83/100 is our first Eintracht Frankfurt vs Benfica prediction. Frankfurt had to play 70 minutes of the first leg with 10 men following a red card for defender Evan N’Dicka. Felix opened the scoring from the resulting penalty and, although prolific striker Luka Jovic levelled before half-time, Benfica ran away with it. Goncalo Paciencia netted in the 72nd minute to give Frankfurt hope, but it is a big ask to turn the tie around despite scoring two away goals. 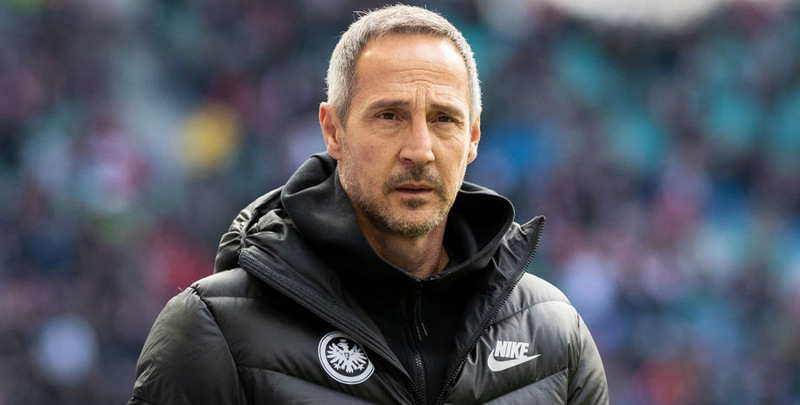 Frankfurt goalkeeper Kevin Trapp said: “We have the right to be disappointed, but next week we have to turn a new leaf. “We could have let our heads drop at 4-1, but we persevered and hopefully a 4-2 loss will be enough, come the end of the second leg. Frankfurt have lost only twice at home since September and have won four and drawn one of their Europa League games at the Commerzbank-Arena, scoring 14 goals and conceding just two. Die Adler to win by one goal is 29/20 in our Eintracht Frankfurt vs Benfica odds. Felix, 19, became the youngest player in Europa League history to score a hat-trick when running riot at Estadio do Sport. Benfica sealed a convincing win with three goals in seven minutes either side of half-time, leaving them in control. Coach Bruno Lage said: “The result serves me perfectly. We go forward with a two-goal advantage. Even at 4-1, the tie would be open. Benfica have tasted defeat five times on the road this season, scoring only one goal, including at Ajax, Bayern Munich and Dinamo Zagreb in Europe. They may fail to find the net again, against a full-strength Frankfurt side utilising home advantage, but they should still reach the semi-finals. It has all the makings for a close game so a draw at half-time followed by a home win at 4/1 completes our Eintracht Frankfurt vs Benfica betting tips.